HorrordelicRecords has been releasing music sleeplessly, and we are proud to invite you to the next gathering of tribes. The concept this time is Horror-Hi-Tech and we have choosen 3 Horrordelic warriors to come toghether and select 30 mindaltering tracks that will take you into dimensions of positive energy and spiritual awareness, never experienced before. The power of the 3 is known to be a super natural entity and Trimurti means “the triad of gods” consisting of Bhrama the creator, Vishnu the preserver and Shiva the destroyer. The three highest manifestations of the one ultimate reality. 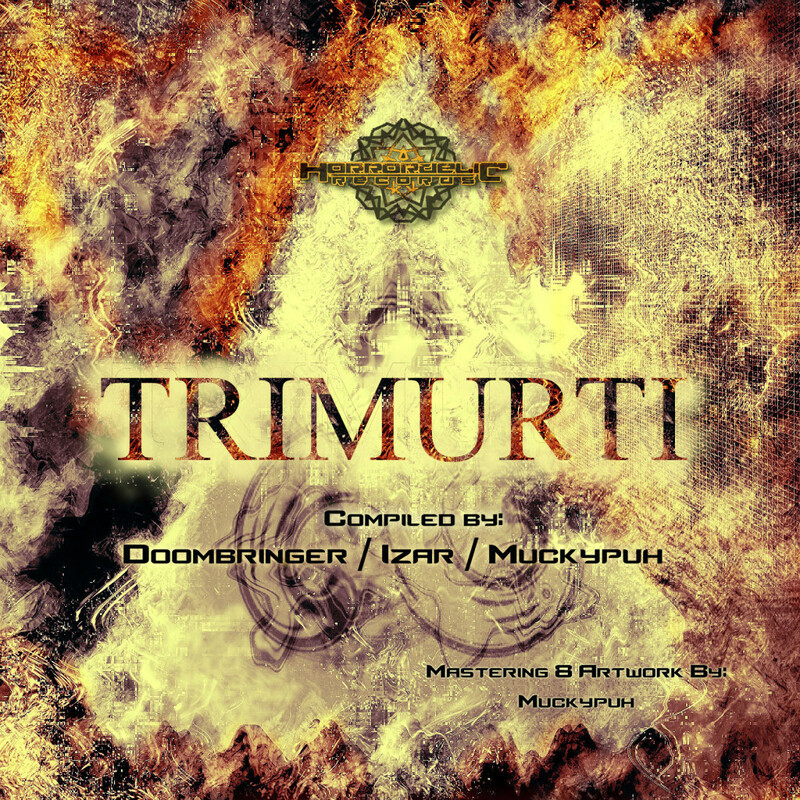 Doombringer (India), Izar (Germany) and Muckypuh (Germany) have joined forces to create a Horrordelic Trinity, that will bring you a mind blowing musical experience. Yeahh great work yall, play loud friends – dance for it … BoOOom !! Amazing work… full power dance mode… ! !